Precision Fabrications Ltd are sheet metal fabricators & laser cutting company based in Christchurch, Dorset, providing laser cutting and sheet metal fabricating services throughout Hampshire, Dorset, London, Wiltshire and further afield. Established in 1983, we have a wealth of experience in all areas of custom metal fabrication and have more than 50 years of combined experience in metal fabrication and welding, and also the laser cutting industry. 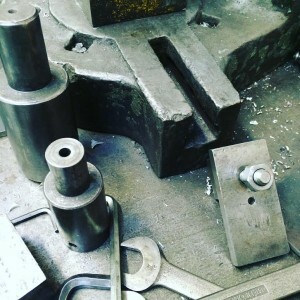 As a result here at Precision Fabrications we pride ourselves on providing an efficient, reliable service in metal work, where all aspects of your needs are our priority. Consequently over the years we have built up a fantastic reputation for quality and reliability within the sheet metal industry. Our fabrication & laser cutting services cover many business sectors from retail merchandising, architectural steelwork, engineering teaching equipment, or manufacturing metal work. We are more than happy to undertake one off, bespoke metal fabrications or mass manufacturing of metal components. Using various metals including mild steel, stainless steel and aluminium, we provide a fast and efficient service which is competitively priced. All our staff are friendly, & most of all, knowledgeable and passionate in their roles, and like us strive to deliver the best possible service at all times.